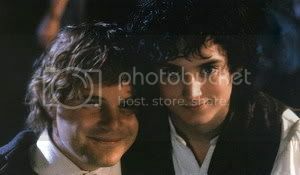 ~ Sam in full-length portrait, and Frodo and Sam in close-up portrait, from the Feb-Mar 2002 premiere issue of the LotR fan magazine. I only first saw a copy of this full-length portrait of Sam this month. But this is a larger copy. As for the portrait of the two of them, I have seen this all over, used as icons, etc. But none of the copies I’ve seen or saved have been big or had very good resolution. I see why, now that I own the magazine (thank you, Mary!). It is not that well-focussed. Still, with some tweaking, I was able to get a fairly large copy of it. I wish the original image was better focused, but, alas, it is not. * This image does not come in a larger size. 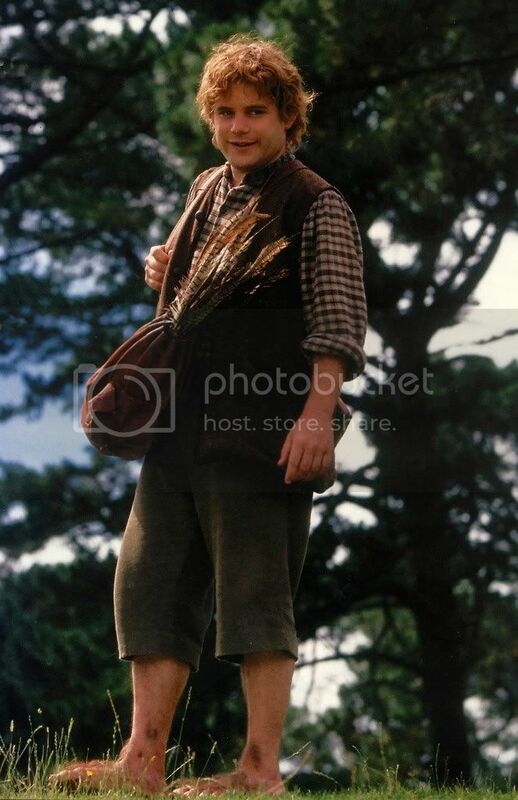 Frodo by the tree and Frodo with the Ring here. 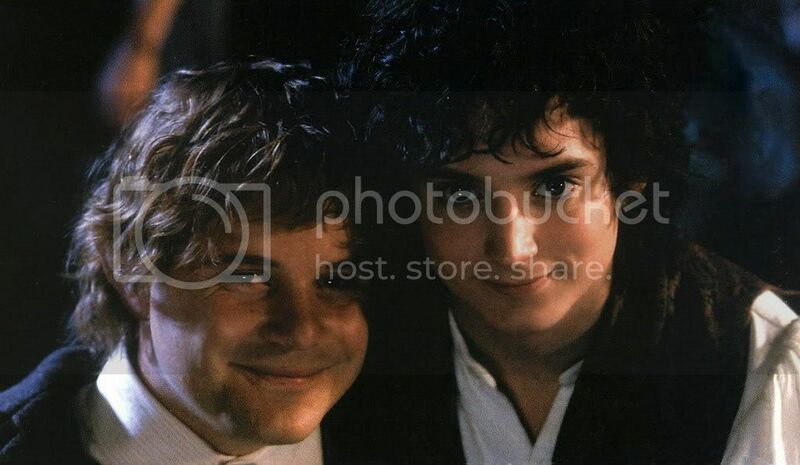 I adore that picture of Sam and Frodo and have it as part of my "My Pictures" screensaver. Yes, really! Beautiful, beautiful, beautiful pictures! Thanks for sharing these.